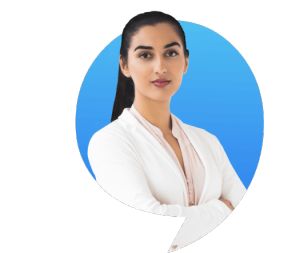 Kannada is a Southern-Dravidian Language also known as ‘Canarese’ or ‘Kanarese’.It is the most widely spoken language in the state of Karnataka and also to some extent in the other Southern states of India, like Tamilnadu, Andhra Pradesh and Kerala. It also has its reach in parts of Maharashtra as well as Goa. The people speaking this language are known as ‘Kannadigas’ or ‘Kannadigaru’ in the native language. Kannada is the official administrative language of Karnataka. It is one of the most ancient languages which has evolved over a period of centuries. The Kannada script, which evolved from the 5th-century Kadamba script, has its origin in the Brahmic script. Since its inception, Kannada script which consists of both the Alphabets as well as the Numerals has flourished under many dynasties like the Kadamba dynasty, Ganga dynasty and the Rashtrakuta dynasty. The research also states that Kannada and other Dravidian languages like Tamil and Telugu could have had an influence over each other since the earlier dynasties have now become different states. The Kannada alphabets are somewhat similar to Telugu alphabets. The total no.of Kannada alphabets in Kannada is 50. Each letter of the Kannada script consists of an ‘Akshara’ and ‘Varna’ which gives each letter a different shape and sound. ಯೋಗವಾಹಕ yōgavāhaka(Part vowel, Part consonant). There are 13 vowel (Svara) letters in Kannada. These form the basis for the ‘Aksharamale’ or ‘Kagunita’, which is derived by combining vowels and consonants. Hrusva Svara : The alphabets which do not require much stress while saying them are called Hrusva Svara. Deergha Svara : The alphabets which need stress while saying them are called Deergha Svara. Structured Consonants – which are classified into groups of 5 based on the sounds they produce when the tongue touches the palate of the mouth. Unstructured Consonants – which do not belong to any particular pattern of alphabets. “ಕರುಣೆ ಎಂಬ ಭಾಷೆಯನ್ನು ಕಿವುಡ ಕೇಳಬಹುದು ಮತ್ತು ಕುರುಡ ನೋಡಬಹುದು”. 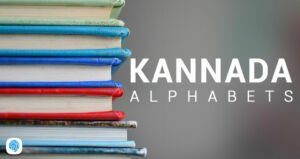 You can use our free learning app which helps you to come across a lot of Kannada alphabets, phrases and other basic Kannada lessons to improve your Kannada alphabets and basics.